DeadHamster has contributed to 852 posts out of 468653 total posts (.18%) in 1,783 days (.48 posts per day). HEK+ is an old program that you should delete if you still have it. "HEK" is an acronym for the Halo Editing Kit, a collection of Guerilla Sapien and Tool. OpenSauce "upgrades" tags with additional data. If you open these tags with stock Guerilla or Sapien, it will give you an error or crash. The tags that are upgraded include Scenario tags and Shader Model and Shader Environment tags, among others. There are also OpenSauce-Only tag classes. If Jobalisk used any OpenSauce tags, or compiled to a .yelo, you should also be using OpenSauce to edit the tags. I'm assuming you're the Giro guy from the Rebel Army discord? You can export/import scripts there. 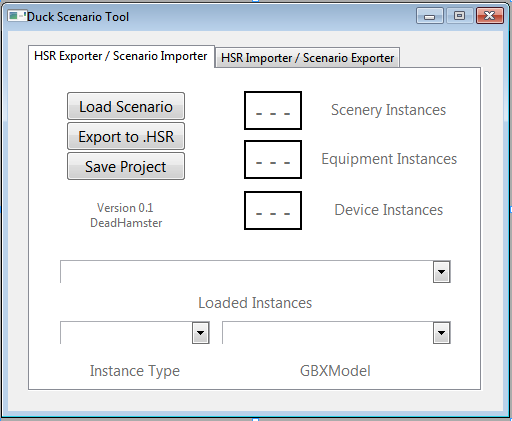 If it were me, I would export the globals.hsc and scripts.hsc, open them both up, copy globals into scripts.hsc, and then compile that file with sapien. Moses said he didn't have custom code implemented to handle importing scripts, and while I'm sure it would be fine I would hate to send you down that road unknown and find out some glitch causes it to not work. Any more questions, feel free to ask. What happens when you try the second that doesn't happen when you try the first? I assume you're trying to do the exact same thing, and it's not working? If you're willing to jump through a few hoops, recorded animations are better and easier to make, but a bit awkward to setup for the first time. If you want me to explain Recorded animations, let me know. Otherwise I need full details as to what you're trying to do, and what happened instead. Sounds more likely that the tags you removed were what caused the exception. I say that because I've not run into this issue or heard of it. What tags did you remove? Need more details to help. If you're thinking you can export the BSP with Adjutant and just compile it into Halo, I'm the guy that's going to tell you that this is literally impossible. There's so many obstacles you'll come across, many of them are hard engine limits or are so far outside the allowed boundaries it's LITERALLY impossible to do. You need to use the exported model as a reference, and build a new, low-poly version from scratch. If that's already what you are doing, good. Keep doing that. In Halo 1 all geometry needs to be sealed. Think of a box going to the Post Office; if all the corners are taped shut and closed the Postman (tool.exe) is happy. But, if one of the edges is torn open, or an entire face is missing, than the Postman will reject the package until I close up the holes. Also, in Halo 1 you can't have intersecting geometry. From Halo 2 on there was a thing in the BSP called instance geometry; any sealed geometry piece can co-exist in the BSP with other sealed geometry pieces. So you make the main BSP, then start making custom-made scenery items as part of the BSP, things like rails along walkways or shutters on windows. See all those scenery objects in the BSP model that are not connected to the actual terrain, like those racks of barrels? That's instance geometry, and you can't export that with the BSP. You have to export the terrain, compile the instance geometry into different scenery items and then place them with Sapien. Also, even if you seal the geometry and seperate and export all the instance geomtry, it doesn't matter because Halo CE can't handle BSP models that high-poly. So you'll have to optimize geometry to about 25-30% of it's original complexity, and then re-UVW map the entire BSP.... almost like doing it from scratch. I was able to get an ODST BSP into the game. To get there I chopped out an entire section of the level, cut down the vertices by about 30% and then re-created about a third of the level by hand to fix the geometry errors Tool started finding. So knowing what I had to do to get an ODST BSP in, I am comfortable in advising you that what you're doing is literally impossible. You CAN, however, re-create this map rather easily. That BSP that you have in 3DS max? Turn the main items into Scenery tags and place them with Sapien. 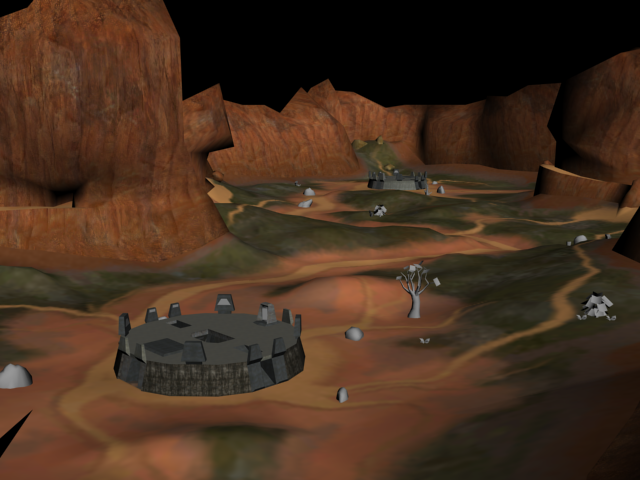 Then make a low-poly terrain that roughly matches what the actual terrain of the map Lone Wolf is. Using Sapien, place all the structures that you turned into scenery objects, recreating the map that way. You can't use an invalid key online. You need to have a "legal" copy. The CD keys in the keygen programs out there have been known for years, Microsoft doesn't allow them to host or join online games. There are Dedicated Servers running a special software called SAPP that, among other things, allows a server to ignore CD keys. Unless you connect to these, Halo will reject your connection. You'd need to reinstall it with a "valid" CD key. Also, two users cannot use the same CD key in a server, regardless of if it's valid or not. There are lots of servers running that special SAPP software, you'll have to find them. You can also play over LAN. But without a valid CD key, you're not hosting a game or connecting to a legitimate server. And unfortunately, in 2019 there's no way to purchase a CD key from Microsoft. You can purchase a copy off amazon/ebay, but that neither supports Microsoft/Bungie or guarantees you're getting a good CD key. Best bet is playing the SAPP servers until the MCC version of Halo 1 comes out and you can purchase it. If you want to do something with the Halo engine that makes money, write an external program that plays alongside OpenSauce to sync AI from host to client. I'll give you money for that, and that's something you might actually do. I have no interest in paying you a dollar so I can play almost-Halo PC online when you finish it 12 years from now. Does the biped have a physics tag referenced? Can bipeds use physics? Is there any way to give that vehicle physics when you're riding it? Sorry if this is off the subject but have you done anything/programing with single player co-op? Kirby is our resident HaloMaps wizard, not to discredit this guy in any way. Kirby spent some time looking into it, and my understanding is some of the code for Co-Op was removed from the port by Gearbox. IIRC, The ELI5 end result was that Kirby was able to get a second character but had no way of getting the game to assign a controller to them. If you pay me a ransom I'll give you the link to the google search I just did. I think they meant grunt vs elite vs jackal. AFAIK that's just to ID the A.I. for the Leader enum. If a leader dies, the A.I. are programmed to have a chance to panic based on tagdata in the actor/actor_variant. I'm building a new level and it's too big. I don't want to remove content, what tool do I need to build my level? I have an existing mapfile, like B30_Evolved or another .MAP/.YELO file that is over 128MB in file size. I want to fix the memory glitches 002 mentioned. What tool do I need? The two are independent and serve different roles. HugeMapPatch is more or less useless, but if you're concerned about the memory issues Kava mentioned above that's it's purpose. HugeMapPatch just writes a value to the map header of an already built map. It CANNOT bypass the mapsize limit, since the mapfile must already be compiled. It is only used to improve memory issues for large map sizes. Wrapping up the Chuck Jones trilogy of modding programs is Duck, a new tool that exports scenery placements from .Scenario files into an external format. 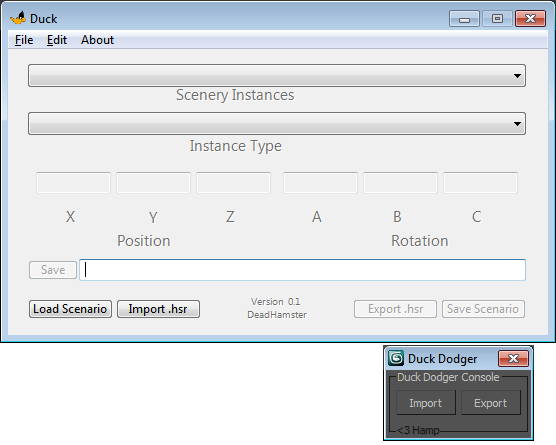 An accompanying maxscript (DuckDodger) will process this external file and import the scenery objects at their correct location. It does NOT import the BSP, and I recommend using Aether to create an .OBJ file that can be imported with materials at the proper coordinates. 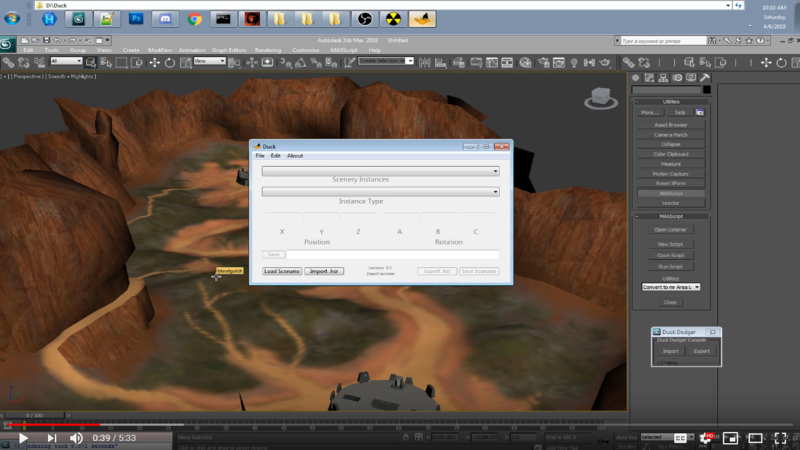 Now you can make your modifications using 3DS Max, without dealing with Sapien's issues. The following download includes THREE programs. This download pack includes minor updates to the versions of Fudd and Frog, and the new program Duck. Other topics have been made in the past for those programs, if there are any questions please feel free to ask and I'll explain their use in detail. What's with the Chuck Jones and Looney Tunes stuff? I've always named my Halo software after Looney Tunes characters. With the exception of Eternal Lightning, which was more than half Modzy's anyway. What started innocently enough with the Illudium Q-36 Explosive Space Modulator has become a bit of fun. The trilogy of Chuck Jones cartoons included as easter eggs are among the finest works in Animation. The Library of Congress has placed each one in their collection as pieces of significant interest. This latest piece of software completes that trilogy, Enjoy! Huge thanks to Moses of Egypt, who provided assistance with some structures in the tag format, as well as the source code of Reclaimer which was used to verify offsets and sizes. I remember either you or somebody doing this a year or two ago. I wanted to look into using AI_switching through opensauce, because it might be able to be accomplished with only Tags and no overhead scripting. It was pretty much exactly what you did, except instead of swapping through scripts it would swap when the AI's health was <10% or whatever. I never actually looked into AI swapping so never got to seeing if it was possible. Any plans for making external utilities (such as flycam) useable with Fall of Mombasa? Sometimes I just like to sit back and watch the carnage. to make sure you don't get offed by a roaming grunt. Outside of that, any utilities that work for 1.10 Halo should technically work here unless OSv4 interferes. Unfortunately, many programs were designed for the long-lived 1.09 update and no longer work. No plans for any external software to work alongside the game. Talked with moses more. The values I was looking for were the Tag Checksum, which he linked me to a refinery module to calculate, and the pointer, which is empty padding space. I was under the impression it was a valid pointer of some type because Guerilla and Sapien use the space when loading the tag the same way the game engine does, and writes the pointer to the tag. This data is stripped and replaced with the proper magic-offset pointer when the map is compiled, but in the meantime is meaningless garbage that isn't needed to read the tag. Thanks to Moses this is quickly underway. Inside Halo Custom Tags, there's 4 bytes after the tag class string, and also after each reflexive count. These have something to do with loading the tag into memory, and the size of chunks within the tag. Somebody had explained to me how these were calculated but now I don't remember. Anyone able to shed some light on it? Can't make heads or tails of what the values are or how they're calculated. What I'm referencing, to clarify. The Christmas Spectacular 2018 is the most recent build actually. I'll probably have another out in the next week or so, I wanted to make an April Fools build and had a lot setup for it, but some serious and sudden family emergencies prevented me from getting the right pieces in place over the last few days and it fell apart last night. Lots of recent progress though everyone. Stay tuned in the next few days for more! You know what's great? Tool's WRL files. Bungie apparently made it through most of development with only Tool's error messages to debug their maps. It wasn't until late in development that tool was updated to export the errors to a file so that you could figure out exactly what part of the geometry caused this issue. Those .WRL files are wonderful. Until you get an error about an Overlapping face, which is buried underneath all your coplanar faces. Wouldn't it be better if there was a way to organize the error .WRL based on the issue you're actually looking for? With this fantastic MaxScript, you can automagically delete all the errors that you're not interested in. No more searching through object_lists to find the overlapping face or z-buffered triangles causing you grief. First, import your .WRL file like always. Then after importing, while all the objects are still selected, run the maxscript in the download above. Select whichever options you want and click the remove button. All selected items that match the descriptor will be deleted from the scene. Time: Thu April 25, 2019 3:07 AM 141 ms.